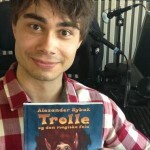 Alexander Rybak regularly makes us move with his fiddle. Now, working with Norwegian club-banger-specialist Katastrofe, he’s adding some electronic beats and a healthy dose of patriotism. 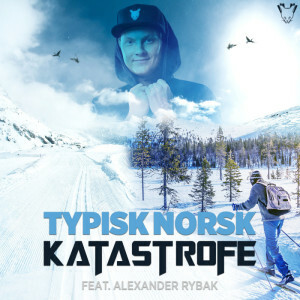 The collaboration is an interesting departure for Rybak, who recently released family-road-trip style tunes for his Trolle audiobook. 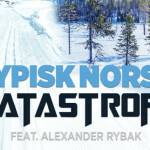 Katastrofe (“Nødlanding”, “Pattaya”) has stayed true to form and to himself, but has left plenty of room for Rybak to shine — the strings mix well with the heavy beat. 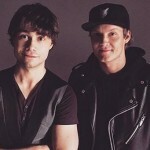 The track features a drop that’s more reminiscent of “Heroes” than it is of “Fairytale”. 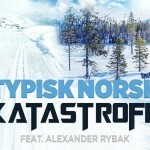 Yet there is a sense of unity between Katastrofe and Rybak as they chant the chorus. Katastrofe’s vocals, Rybak’s violin rhythms, the yodelling and the drums make for three very captivating minutes. It’s no wonder it was approaching one million Spotify streams just days after its release. Whether it’s down to national pride or just musical chemistry, the harmony is real. Are you feeling it? Is it a new power anthem for the frosty winter? Let us know in the comments box below! No, we’re going off track wherever it is possible!